Welcome to ‘Electric Beds Online’. 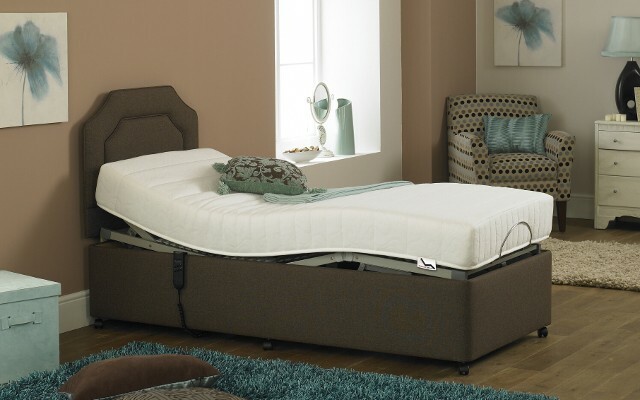 We are UK stockists of a massive range of electric adjustable beds, mobility beds & mattresses. 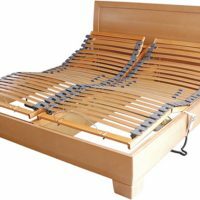 Our electric beds are fully adjustable, supportive and luxurious and yet most surprisingly are very affordable. These electric beds are truly a luxurious product but, without the ‘luxury’ price tag. We have a massive range of adjustable beds and mattresses with optional inbuilt massage systems. Electric Beds Online has got the perfect electric adjustable bed for everyone to have the most comfortable nights sleep ever!!! An adjustable bed does just that – it adjusts in the 5 key areas where customised support is needed – head, neck, spine, hips and knees. 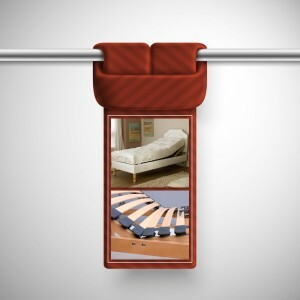 The adjustments are made with the flick of a switch so there is no need to get out of bed in order to get comfy. You can be comfortable whether you are sitting reading or lying down to sleep and if you need to elevate your legs then simply find the setting most comfortable for you. The options for settings on an adjustable bed are almost limitless. Which means that you can find your perfect position every time. 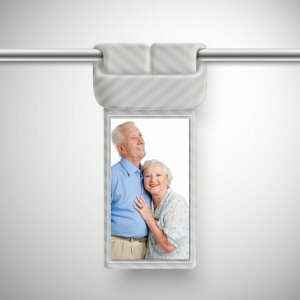 An adjustable bed also allows you to get into and out of bed in safety and with comfort so is perfect for the elderly or infirm who might normally find getting into and out of bed more difficult. You can buy whatever width electric bed suits you from 2ft 3inches to 6ft. Not only that you can choose to have separate mattresses if choosing to have a 5ft king size or 6ft super king size. This gives both of you total control over your own settings with the supplied deluxe handset. 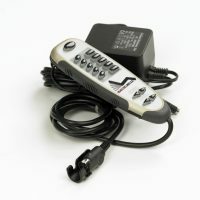 Adjustments are made by the remote control panel so you do not need to get out of bed to change settings. 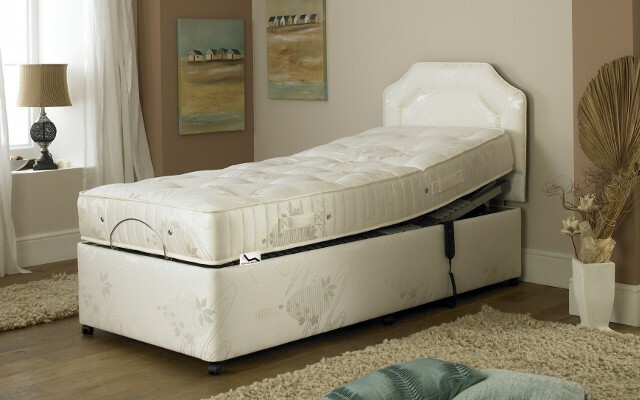 In many cases you can choose to have memory foam, pocket sprung, latex or reflex mattresses. 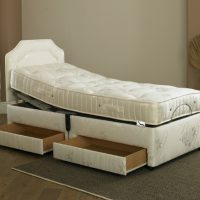 Our electric beds meet the required electric and upholstery regulations set by the European and British fire standards. Our prices are kept affordably low as we have no expensive showrooms and staff costs – our savings are passed directly to you – Our customers. Stay informed and keep up to date with our newsletter.